This Fall, there are a lot of large fires burning in the pacific northwest of the US and the air quality on many trails and mountains is poor as a result. This makes hiking and climbing unpleasant, unhealthy and possibly unsafe. To be clear, I am not asking about areas that are directly threatened by the flames, but there are many places that are relatively far away from the fires but are still unhealthy to hike in due to receiving many wind-borne pm2.5 particulates from the fire (which are apparently the main health hazard). Are there are any good ways to mitigate the smoke? I looked into face masks and there are some that claim to be suitable for exercise (not sure if there's any truth to that). However, it seems that it can be difficult to tell if the mask fits properly and if it does not then it will not provide a proper seal and will be ineffective. I'd be very interested to hear about any effective methods for dealing with the smoke. I'm literally in the thick of the smoke right now, fires are burning a half hour upwind of me, and ash has been falling from the sky like snow. Just this past couple weeks the government has been shutting down the backcountry to all access. The nearby National Park just issued a voluntary evacuation order, and they're talking about upping it to a mandatory evacuation. I have friends and family who have already been evacuated from their homes in BC because fires are burning out of control. Hiking in the backcountry is simply not advisable at this time. But depending where you are, you may be far enough down wind and safe from the fire. I went on several hikes this summer with a haze of smoke in the air, but not enough to warrant the use of a mask. If you're in smoke thick enough to need a mask, then chances are you're too close to the fire and probably shouldn't be putting yourself at risk of getting trapped out in the backcountry. You're only going to complicate the efforts of emergency response crews if you do. Be sure that you know where the fire danger is before you go out on your hike, and do not put yourself in the path of of anything. If you are far enough removed from the fire that it won't present any danger, then the best thing to take along with you would be a pollution mask, which are purpose built for being worn outdoors in poor air quality while being moderately active (walking around/cycling/commuting etc.). There is a selection of rather stylish masks available on Amazon. But in general, wearing a mask is not the best way to protect your health during a smoke event. In fact, masks may lead to a false sense of security, which may encourage increased physical activity and time spent outdoors, meaning increased exposure to smoke. They can also make breathing more difficult. It's best to stay indoors, and avoid the smoke altogether. IMO the best solution right now is not to go. I live in the PNW, and I'm simply avoiding strenuous exercise until air quality improves. I wouldn't enjoy hiking with a mask on, and it's unhealthy to exert oneself with these air quality levels. I had a hike planned for this weekend which I called off due to the fire and air quality situation, and that same day 140 people got trapped on a trail overnight when a fire blocked the trail. Recreational hiking can wait until safer conditions return. Edit: Some areas in the PNW have official trail closures right now. I'm not going to link to them directly because this information changes constantly. Before going to a USFS area, search for [name] national forest alerts and notices and you should be able to find a page with current closure information – for example, this page for the Columbia Gorge National Scenic Area shows fire-related closures on the PCT and many other trails. If you are going to other areas, you can check with the proper ranger district office for the region you are planning to visit. Smoke from a burning fire is essentially the stuff from the fire that hasn't burnt well and gases formed by the reaction of whatever is burnt with whatever is in the air. In a forest fire this is going to be mostly carbon in various forms. A well fitted, well made mask of a decent quality is going to help filter out this carbon in the air (the smoke). A cheap DIY type mask is likely going to do virtually nothing. What a face mask isn't going to do a lot about though is the gases which are also emitted from the burning process, things like Carbon Monoxide, Carbon Dioxide, Sulphur Dioxide, Nitrous Oxide, etc. These gases are far too small to be filtered out. That's why fire crews wear breathing apparatus with air tanks. 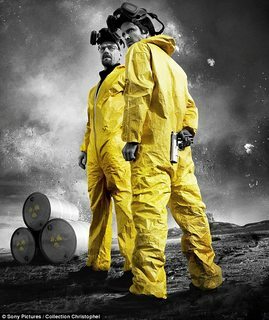 Unless you have a really high end mask designed for this kind of thing, think the ones they wore on breaking bad!. 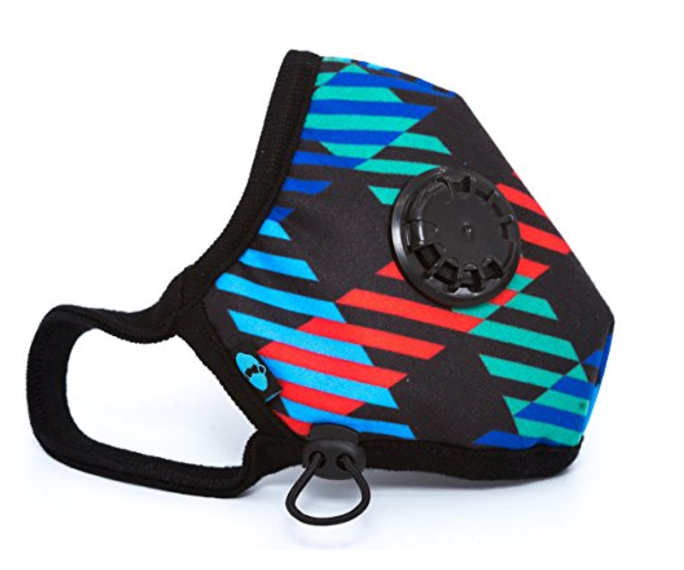 These masks have special reactive filters and nano filters to remove chemicals out of the air. These gasses tend to dissipate into the atmosphere quite quickly but in a big fire can still be around in quite large amounts (relative to the typical). Tl;Dr It'll help a little to keep some of the larger pollutants out of your lungs but you are still likely to be inhaling a lot of nasties. I'd give it a miss until the pollution gets better. Not the answer you're looking for? Browse other questions tagged safety health forest-fires or ask your own question.